Kev is once again running the popular Rhoscolyn meet. He has booked Mulfran which is one of the bunkhouses on the camp site, and this is already fully booked. There are also members camping and in camper vans. The camp site does not book pitches, so if you want to come along just report to the site office and tell them you are with the GMC. There will be various activities over the weekend. 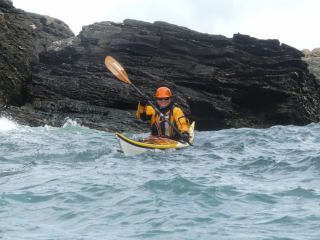 On the Saturday morning a number of members have booked a sea kayaking session, and there are coastal walks over the weekend.